Roku got its start as the original Netflix box, and is still one of the best ways to experience the service’s streaming video offerings. It makes browsing and searching the online catalog easy, nearly matching the convenience of the webpage interface. Besides Netflix, as of a few weeks ago we have access to a number of current TV shows via Hulu Plus. Right now it’s limited to a subset of the entire catalog available on the Hulu website because of licensing issues – no Fringe or Community, for example – but it promises to get better over time. I’m willing to support Hulu Plus now to help it reach its future potential. Roku’s awfully proud of its Channel Store, which has over 75 channels from services like Facebook, Pandora, Last.fm, MLB.tv, and more, but installing almost every single channel involves logging into the respective service on your computer and linking the Roku player to your account. It’s a hassle, and it gets old quickly after you’ve installed your fourth or fifth channel — even typing in login information using the on-screen keyboard and remote would be simpler than having to hit a browser every five minutes. 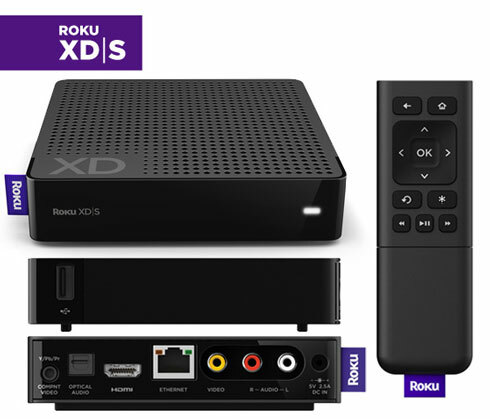 Once you’ve gotten over that part of the setup process, though, things are quite simple — the XDS offers the same fundamental Roku experience as always. I have to agree with them on this point. You don’t have to add new channels often, but it’s not exactly a seemless process when you do. And while it’d still be far from ideal, having the option of managing channels from the Roku website would be slightly less annoying than the current situation. Our decade’s old HD television doesn’t support 1080p video, so I’m not able to test the Roku XDS support for it. But, I can tell you that in general, picture quality is excellent. I haven’t done side-by-side comparisons to DVDs or over-the-air broadcasts or anything, but I’m very satisfied with how the XDS streams. So far, I haven’t experienced a video buffering problem yet while watching video on the Roku. I’ve had a few streams from other, smaller channels take awhile to initially load, but once it does it plays without dropping a frame. The XDS is the only Roku box that currently offers a USB port that can be used to side-load video content. If you have movies or shows converted to a supported format on your computer, you can copy it to a USB flash drive and watch it on the Roku. The channel provided for this purpose has been flaky when I’ve tried it, so hopefully a more stable version will be provided in the future. Though I can’t find an official statement from Roku, they’re eventually supposed to be adding DLNA support to their devices. This would allow for easy streaming of content from a local digital media server over your home network to the Roku. I’ll believe it when I see it. But even if Google TV one day becomes more refined, the central problem remains: on the Web, videos routinely freeze, stutter, take forever to load or show “missing plug-in” error messages. We’re used to that. We have low expectations — on the Web. But do we really want to pay hundreds of dollars to bring this sort of flakiness to our TV sets? It will probably take a long time, and a lot more refinement, before Google TV is attractive to anyone besides tech-heads — especially when, for only $60, you can get most of the same stuff (Netflix, Amazon on demand, Pandora, Major League Baseball, apps) on a Roku box. The Roku is cheap – the entry-level Roku costs just $60, and you can pay a bit more for higher quality video and faster wireless networking if you want it. Add in the cost of a Netflix subscription (which we were paying for anyway) and $8/month for Hulu Plus, and you’ve got access to a ton of video content for a fraction of the cost of cable and a DVR rental. I’ve been looking for something similar. Thanks for posting this, I may actually look into it further.